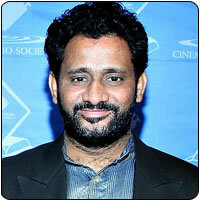 Oscar winning sound engineer Resul Pookutty is planning to direct an emotional drama. He has been toying with this idea for quite some time, but his commitments as a sound engineer is stalling the proceedings. Resul is, however, quick to add that sound engineering is his first love and he enjoys doing it. The ace sound engineer is currently working in an international project The Best Exotic Marigold Hotel. The film is directed by John Madden and has Slumdog Millionaire fame Dev Patel in it. Resul gushes that he is the only Indian to work in this international project and will be doing live sound mixing for it.